On Monday April 11th, the pilot for the bunkering of Liquefied Natural Gas (LNG) via the Truck to Ship method was successfully launched in the port of Vlissingen. Bunkering of this renewable marine fuel emphasises port authority Zeeland Seaports’ objectives to reduce overall emissions. 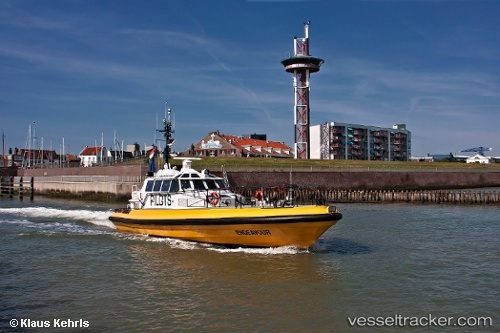 The pilot began with LNG being refuelled from a truck on the quay in the port of Vlissingen. Zeeland Seaports will determine whether consistent LNG bunkering will be realised in the port based on the results of the pilot, which will last until the end of the year. The port of Flushing (Vlissingen) in the Netherlands is expanding its footprint in the perishables reefer trade with the extension of a contract with Chiquita, reports Fairplay Daily News. Zeeland Seaports recently made a start on work to extend the Westhofkade. BOW Terminal, Zeeland Seaports will extend the existing 300-metre quay by around 175 metres. The quay is expected to be ready for use in mid-2015. The Zeeland ports occupy a prominent position when it comes to the storage and handling of project cargo for the offshore industry. In the past few years, various large offshore wind projects have been realized from Vlissingen. Several Zeeland companies are active in this market and are continually expanding their operations. As port authority, Zeeland Seaports tries to assist where possible. In order to offer BOW Terminal extra quay capacity, Zeeland Seaports therefore commissioned BAM Infra to extend the quay in the Westhofhaven.